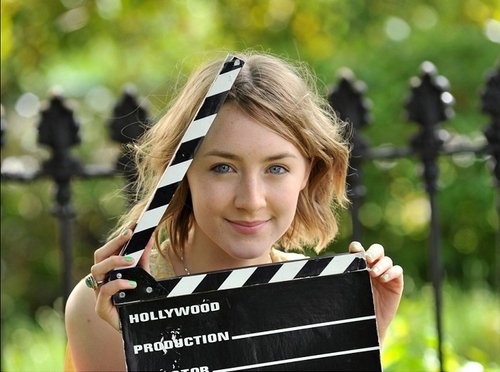 Opening Of Coca Cola Cinemagic International Film & TV Festival (May 11, 2011). . Wallpaper and background images in the Saoirse Ronan club tagged: saoirse ronan public appearances 2011. This Saoirse Ronan photo might contain teken, poster, tekst, bord, schoolbord, portret, headshot, and close-up.